Most people’s instincts are to avoid alleys. At least in fiction and film, nothing good ever comes from taking a wrong turn into one. But when it’s the opening of a new coffee shop in an old District alley way, you can’t keep me away. Saturday morning I ventured into Blagden Alley in the historic Shaw neighborhood for a first taste of La Colombe. It’s a trailblazing coffee company from Philadelphia, with cafes also in New York, Chicago, and Seoul. They’ve recently been supplying coffee to some notable D.C. restaurants, and have finally opened an outpost here in the District. 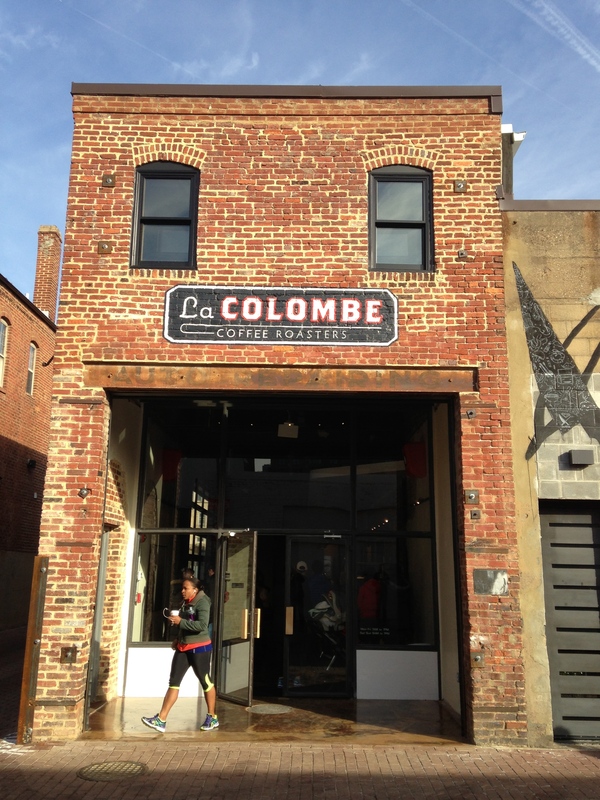 La Colombe, D.C.’s newest coffee shop in historic Blagden Alley.